Collaboration between the business development community and Mesa County proves fruitful. 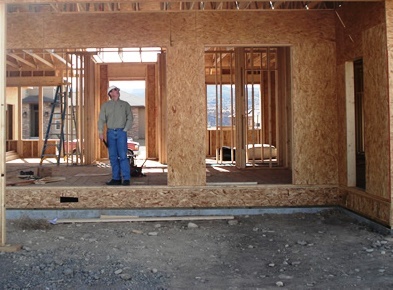 After many months of joint efforts among county staff, Western Colorado Contractors Association and the Home Builders Association of Western Colorado to find private sector solutions to enhance government services, a resolution was brought to the Board of Mesa County Commissioners to amend the Mesa County building code to update fees. The focus group reviewed costs and processes and agreed on solutions before presenting their recommendations to the Commissioners. "Our function as a building department is strengthened by well-established community engagement," Mesa County Senior Development Services Manager Dan Caris said. "We have been working on establishing best practices and betters ways of conducting business." On May 1, 2017, at the Commissioners' public hearing, Western Colorado Contractors Association and the Home Builders Association of Western Colorado urged the Commissioners to increase building fees to better staff the Mesa County Building Department. The commission considered the plea and unanimously voted to increase building fees for the first time since 1988. As a result, beginning May 15, 2017, the Mesa County Building will dedicate a full-time employee to serve as a Senior Plans Examiner. Additionally, Mesa County is looking to hire a building inspector. Applications for the new position are due by Friday, May 26, 2017, at 5 p.m.
"These changes are expressly indicative of a commitment to the building and development community," Caris added. " It is our goal as a department to provide exceptional service at the level that expressly mirrors our Board of County Commissioners' commitment to economic development."